Some books are like warm hugs. You always feel good when you read them no matter how many times you’ve read the same words. 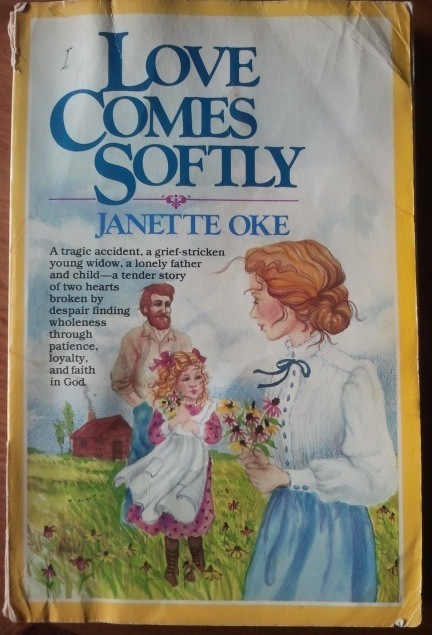 When I was younger, that book was Love Comes Softly by Janette Oke. Oke is a prolific and beloved author of Christian children’s books. Published in 1979, Love Comes Softly is Oke’s first novel and the first book in a series of eight following the same family. From that one book, Oke launched her career, which now includes over 70 books and several awards. Set in the 1800s, Love Comes Softly tells the story of Marty and Clark Davis. The two meet under tragic circumstances after Marty’s husband dies in a horse-riding accident. Alone on the frontier, Marty, newly pregnant, has nowhere to turn until Clark, father of a one-year-old daughter, who also recently lost his wife, proposes a marriage of convenience. He even promises that, come spring, if Marty is unhappy, he will pay for her return east if only she brings his daughter with her so she can have a mama. And so begins a year of challenges, frustrations, growth, and, of course, unexpected love. Love for a little girl, for a new baby, for an unplanned couple and for God. I grew up in a Christian household, and the rhythms of prayer, reading the Bible, and Sunday rest found in Clark’s home, which are completely foreign to Marty, echoed the atmosphere of my own home. Over the course of the book, Marty realizes a love for Clark and a love for God. These great loves are the heart of the whole Love Comes Softly series. Reading Love Comes Softly is like climbing back into the chair in my parents’ living room, when I was small enough to be enveloped in its cushions, feeling secure and sure of the world and my place in it. Perhaps it is time for a reread. Do you have a book that feels like a warm hug?